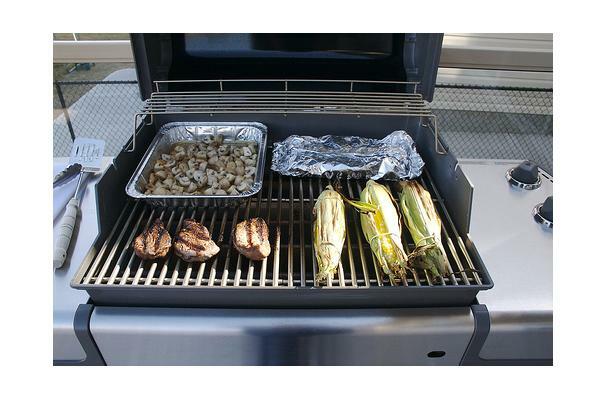 Grilling is a form of cooking that involves dry heat applied to the surface of food, commonly from above or below. This method involves cooking food on an open grid over a heat source such as charcoal, an electrically charged or a gas heated element. Grilling requires skill as cooking temperatures must be regulated by moving food items to hotter or cooler parts of the grill as needed and food should be turned on both sides to acheive the desired grill markings and to ensure that it is not undercooked or overcooked. Popular foods which are prepared using this technique include hotdogs, hamburgers, beef steaks, chicken, steak fish, ribs, kebabs and vegetables.